This page displays some photos that I thought were just plain cool looking. 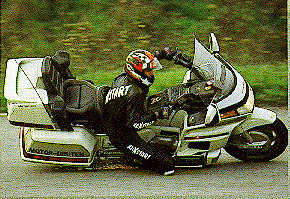 Blow away those myths that a 900 pound shaft drive motorcycle cannot do a wheelie!!! 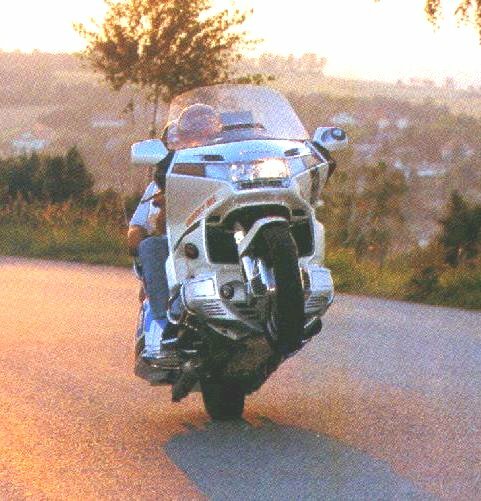 A knee scraper goldwing ride. 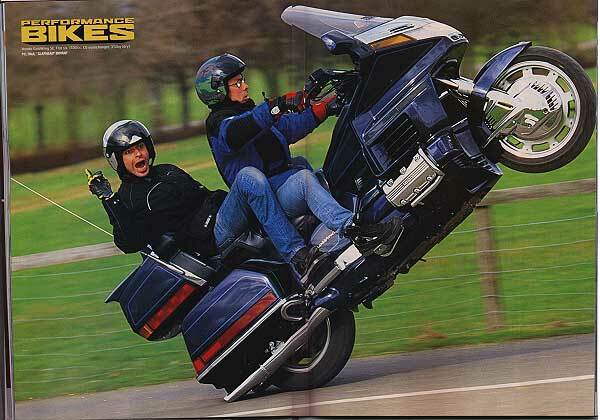 Here is another photo I came across of a Goldwing doing a wheelie. This is how you do a underside inspection!!! Talk about Fast?? Look at the 2nd line from the bottom, far right for Max Speed. 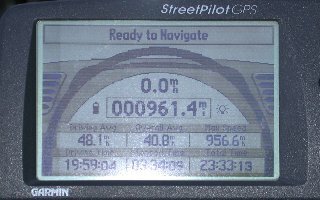 This is from a Garmin Streetpilot mounted on a 1998 Goldwing SE with Trigger Wheel!!! It would have been faster but the SR-71 was in the way!!! It ain't Daddys Goldwing anymore. 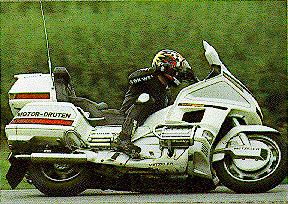 This is project Goldwing. 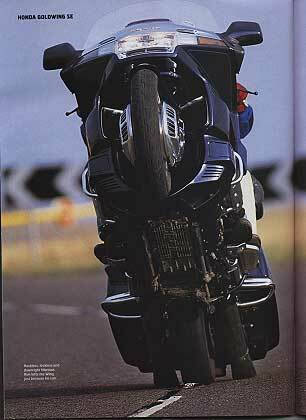 A 200 MPH GL1500 Goldwing.